Don't let pests make your space their home. Get the ultimate defense for your home in the by calling your local experts at A-Action for effective pest control in Lake Villa! When you discover a pest infestation, it can make everyday life in your home feel suddenly uncomfortable. 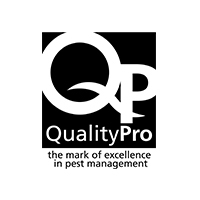 If you're looking for a pest control company near you, look no further! At A-Action, we provide effective pest control in Lake Villa that restores your peace of mind and thoroughly protects both your family and home from nasty critters! Not only do our treatments remove your pest control problem, they work preventatively to ensure your home stays pest free. Here at A-Action Pest Control, our Lake Villa exterminators care about providing our customers with nothing short of the best service possible. We know how stressful a pest infestation can be, and we believe that you should never have to feel like a prisoner in your own home. Our pest control in Lake Villa involves targeted, individualized techniques, customized to fit the needs of your home’s pest problem. Our friendly exterminators are all state-certified and we provide them with continuous training so you can rest assured that you’re receiving the most efficient solution for pest control in Lake Villa. Not only are our exterminators in Lake Villa eager to protect your home, but they are also just as concerned with protecting your family. When providing Lake Villa with pest control, A-Action takes every precaution to ensure only the safest, family-friendly treatments are being used. We want you to have choices when it comes to pest control, which is why we offer several pest packages to fit your home's needs, as well as your budget! Since 1988, A-Action Pest Control has known how important family is to our customers. As a local, family-owned business, we take great pride in being members of our community and caring for its citizens. We take customer service so seriously, we've won the Angie's List Super Service Award for 6 years in a row! When you need an exterminator in Lake Villa, look no further than the company that wants to quickly take action to eliminate your infestation—and does it with a smile! When you need pest control in Lake Villa, you want to know your problem will be taken care of both quickly and effectively. If we treat your home and you aren’t 100% satisfied, just give us a call. We’ll come back to your house and retreat, free of charge! 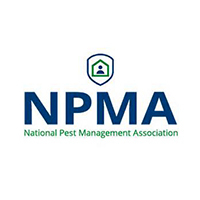 To better ensure your peace of mind throughout the process, we always aim to use the safest treatment options possible to eliminate pest infestations. Our exterminators in Lake Villa will keep your family safe while we eradicate your pest problem! Knowing you have a rodent infestation can not only be emotionally taxing on your family, making you feel like a prisoner in your own home. From chewing electrical wires to contaminating food with viruses, rodents can wreak havoc on your home. A thorough inspection of your home, identifying rodent entry points and customizing a treatment plan specific to your home’s needs. A follow-up visit from a Lake Villa exterminator, scheduled accordingly to check bait stations and identify problem areas. Prevent future infestations by sealing entry points, eliminating food sources, and educating on preventive measures. As a locally owned and operated company, our team at A-Action does not only strive to keep your home rodent free, we strive to protect the environment while doing so. 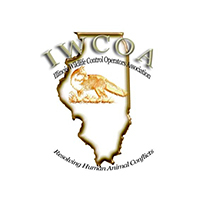 That’s why when providing Lake Villa rodent control, we strive to keep our environment and our community safe. 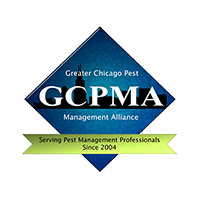 Our exterminators only use the Integrated Pest Management, IPM, approach to rodent control. 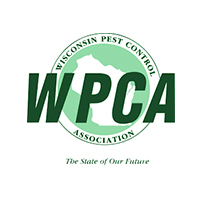 By following these steps, we ensure that the appropriate mechanical, biological, and chemical techniques are enacted, keeping our community as safe as possible while destroying your Lake Villa rodent infestation. Wasps and bees are just a couple of stinging insects that can ruin your fun outside. These dangerous pests can threaten the safety of your family and pets. Here at A-Action Pest Control, we offer stinging insect control in Lake Villa that provides protective and preventive treatments for your home. With the help of our highly-trained technicians in Lake Villa, you can get peace of mind knowing that your family will be protected from any harm these pests can do. A thorough inspection of areas where stinging insects like to nest. Elimination of existing stinging insects on your property using eco-friendly products. Preventative measures in affected areas to stop future nesting. When you team up with A-Action Pest Control for stinging insect control in Lake Villa, you team up with knowledgeable technicians that take pride in going the extra mile for your safety. We even offer our customers a 100% Satisfaction Guarantee - if you are unhappy with the services we provide, let us know and we will come back to make it right. Your satisfaction is always our top priority! Sign up for our stinging insect control in Lake Villa today and enjoy $25 off your initial service! Ready to give your family a pest-free home?